SUPERBEAT: XONiC is an upcoming rhythm game developed by Nurijoy, a company formed by former employees of Pentavision. It is considered a spiritual successor to the DJMax music game series and its gameplay is based on the 2014 arcade game Beatcraft Cyclon, also made by Nurijoy. The gameplay of SUPERBEAT: XONiC consists of tapping notes to the beat of a song, either with the PlayStation Vita's face buttons or touchscreen. Modes, in order of difficulty, include 4 TRAX mode, 6 TRAX, and 6 TRAX FX. When selecting any mode, 3 tracks are played in succession and the player's performance is evaluated at the end. Local scores can be uploaded to a global online leaderboard if connected to the internet. SUPERBEAT will feature over 50 different tracks from a variety of genres, including soulful house, RnB, indie pop, progressive metal, and big beat and many more, and will include a collection of original music from producers such as 3rd Coast, ND Lee, Tsukasa and others. 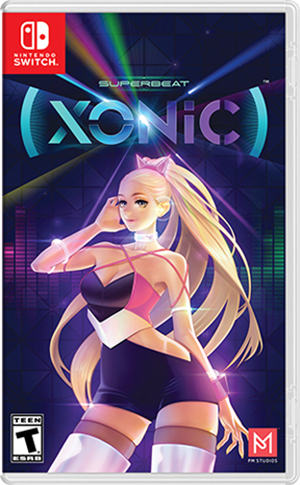 Where can I buy SUPERBEAT: XONiC physical/digital?